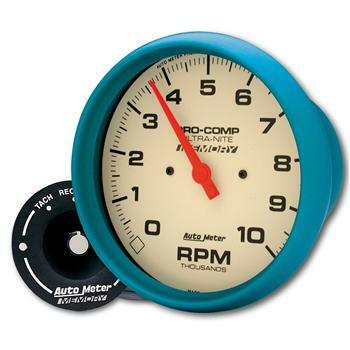 Auto Meter Ultra-Nite Gauges UNIVERSAL - Lightning Motorsports - Selling Speed since 1996 ! Glow in the dark dial faces provide limited duration visibility for night races while minimizing instrument weight. These products have no provisions for backlighting.